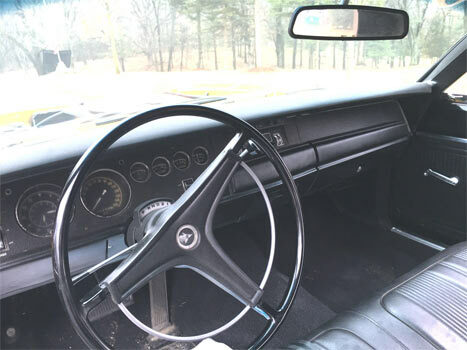 This 1969 Dodge Coronet A-12 seems to be part of a bigger sell-off of muscle cars, which include a 71 Superbee, 1970 AMC rebel machine and the 1970 Roadrunner. As per the advertised price, this car is in fantastic condition and has apparently had a full restoration. Just check out the full description below. 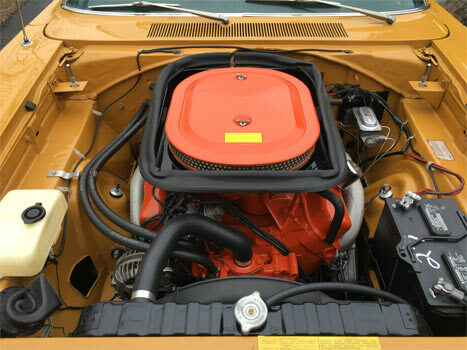 ‘1969 1/2 Coronet Super Bee A-12 440 six pack Super Drag Pack auto trans column, Dana 4:10 rear end, in the rarest and sought after color Rare Bahama Yellow. Car has been appraised at $130,000.00, we are asking way below that price for quick sale. 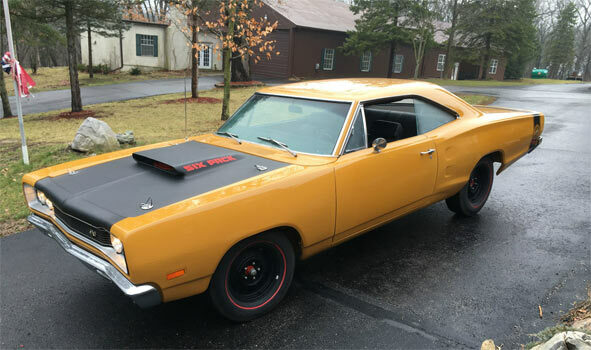 Car is restored and ready to go, don’t spend 2-3 years finding and restoring a super rare Super bee A12, enjoy this one today. Matching Numbered Fender tag/vin/door tag/Motor/body/trans/core support. Very rare to find a matching numbers car, as these cars were designed as race cars and motors/trans were replaced/blown etc. Also painted in her SUPER RARE FACTORY COLOR BAHAMA YELLOW. Correct wheels/Correct hood etc. restored correctly to high level. Restored 5 years ago driven only a 4 times since restoration out of large private collection, always stored indoors. Car runs, stops and drives great no issues, gauges all work, shifts and drives as it should. Hi end restoration paint super nice, under side painted and as clean as top.